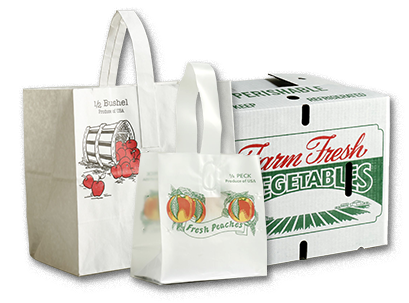 If you are looking for a water proof, heavy duty, plastic bag our Farm Market Plastic Tote is the right choice. With a 3 mil grade of strength your fruits and vegetables are safe a secure. 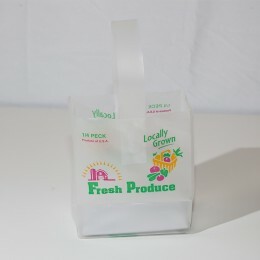 A convenient cardboard bottom insert for stability is also included in each bag. 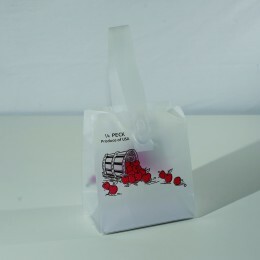 We offer 4 sizes along with 4 designs - Quarter Peck, Half Peck, Peck, and Half Bushel ; Apple, Peach, Fresh Produce, and Plain/Clear (Plain/Clear available only in Half Peck and Half Bushel sizing) . 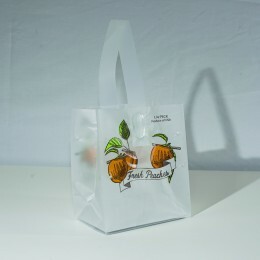 Show off your produce in style with this creative packaging product. Looking for a personalized design? Call our friendly customer service team to learn more on what and when imprinting is available for your retail market today!